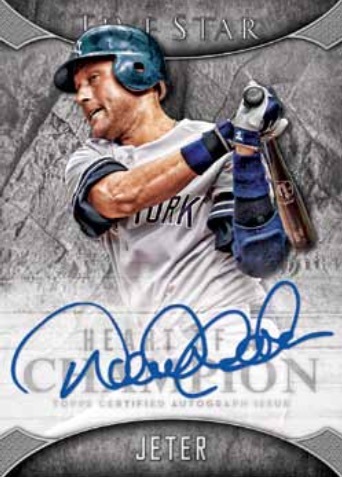 Topps Five Star Baseball returns with new high-end designs and a premier checklist that guarantees 100% On-Card Autographs of the game’s best Major League players. This year, look for more rare case-level hits such as Autographed Jumbo Patches, Silver Signatures, Golden Graphs and Five Star Signatures cards – all signed on card! Presenting up to 80 of the most collectible retired, veteran and rookie MLB players. Autographs will be signed directly on the card. Presenting up to 25 of the most collectible MLB players of the game, past and present, with beautiful autographs in either silver or gold art paint pens. 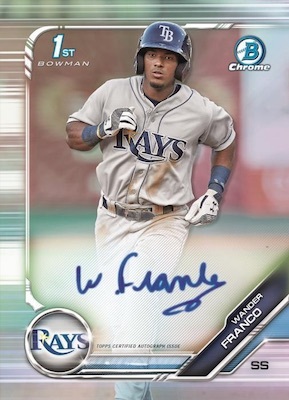 Highlighting up to 50 MLB players with an on-card signature. Select subjects will include an inscription! Cards will be #’d to 20 or less. Showcasing players who have had memorable PostseasonTM performances. Autographs will be signed directly on each card. Cards will be #’d to 35 or less. Showcasing a checklist of elite veterans, young stars, prominent rookies and retired greats. 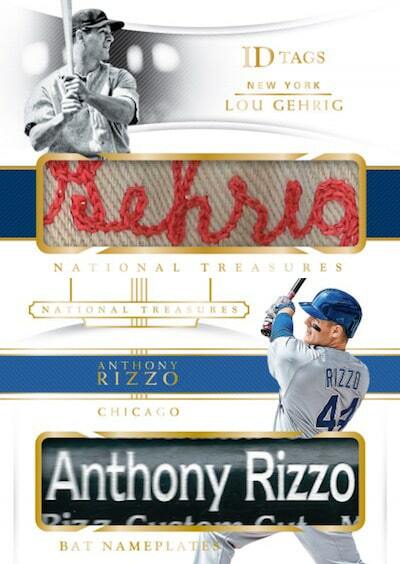 Relics will feature jumbo sized patch pieces and autographs will be signed on card. Seq #’d. Highlighting some of the greatest MLB players who ever played the game! Each cut signature is a rare 1-of-1 card.